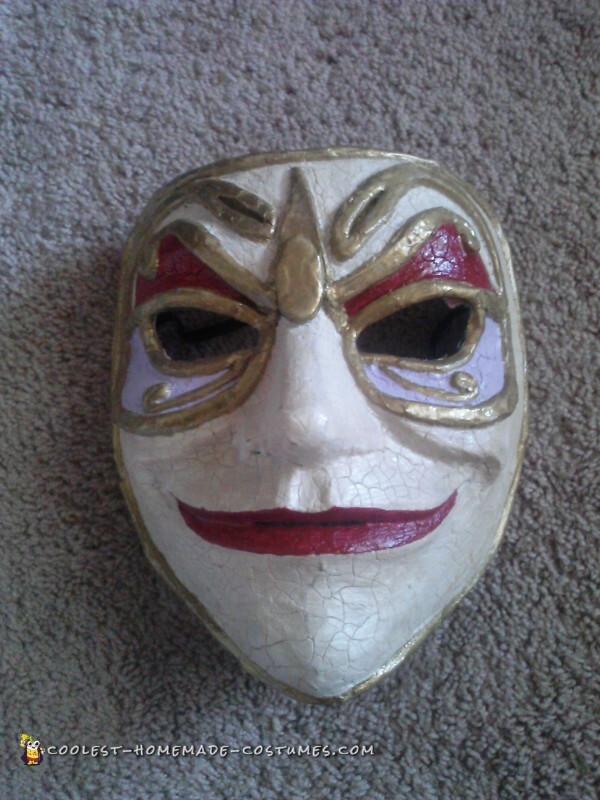 Clockwork Droid, from episode “Girl in the Fireplace” The mask used to be a V for vendetta mask and has been turned into the droid style, porcelain, victorian mask. I used air drying clay to reshape the features, paper macheed over top to hold the clay in place, crackle paint over that then dabbed with coffee to stain it, then hand painted. Skirt is made from old curtains and lace. The top is a reshaped blazer. The hardest part of this one was all the standing the model had to do to fit each piece of cloth. 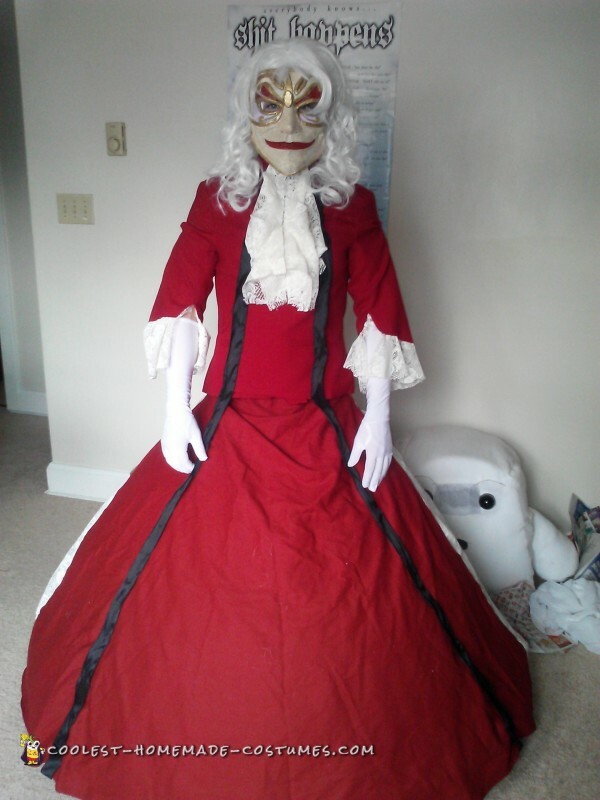 Many children cowared in fear of this costume’s creepy feel. Adipose, from episode “Partners in Crime”. My 5 year old daughter Dru. Adipose are alien fat babies. She is very small, so it is very hard to make her fat. I used a folding, mesh laundry hamper to make her look so big, wrapped it in a sheet and stuffed between the two. I used the little round containers from the gumball machines to make the eyes. 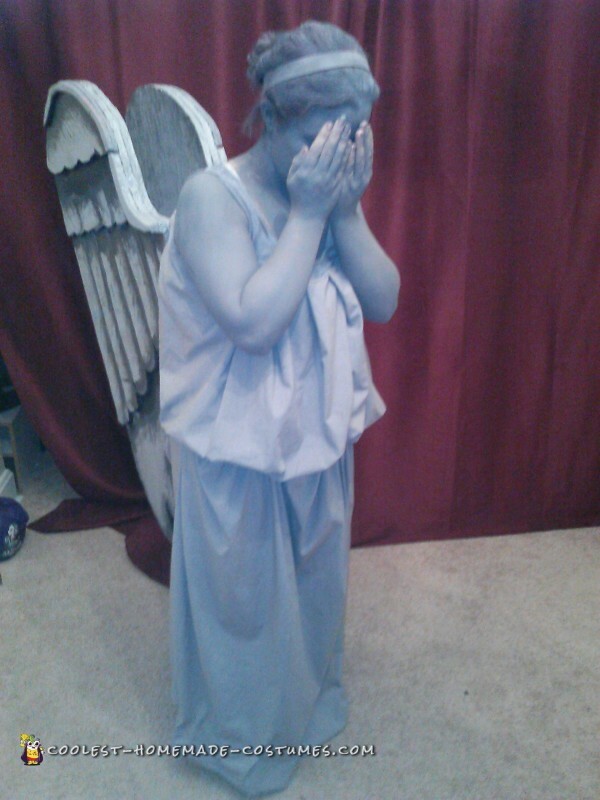 Weeping Angel, from episode “Don’t Blink”. Robe is a grey dyed sheet. 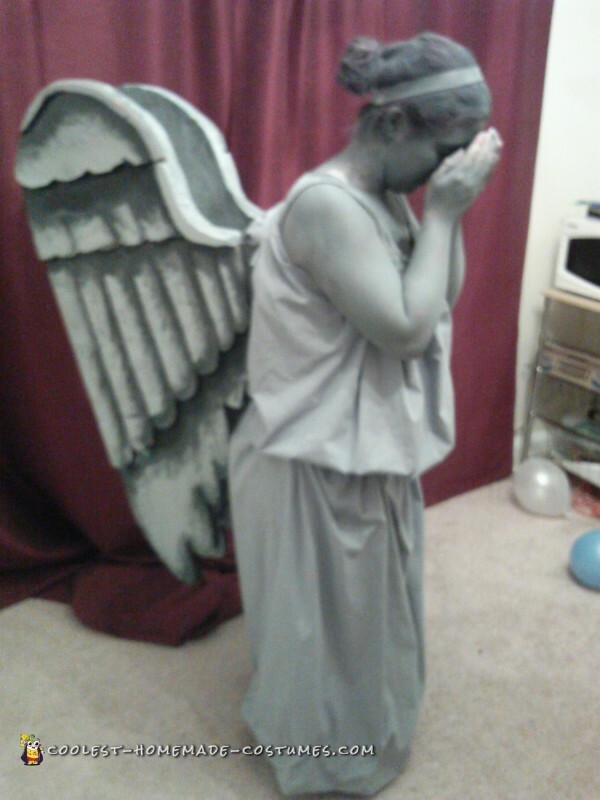 Wings were hand cut from board foam insulation and spray painted/hand shaded. Rig to hold wings up is hidden, thick wire attached to wood strapped to my back. I used grey body paint and hair spray to make the stone coloring on my skin. 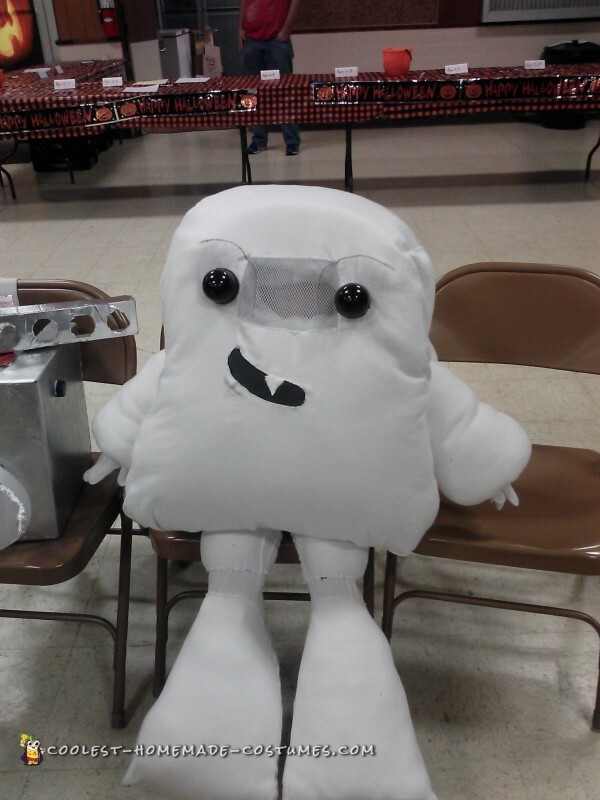 My adipose daughter won first prize in the local lions club annual costume contest for most original. 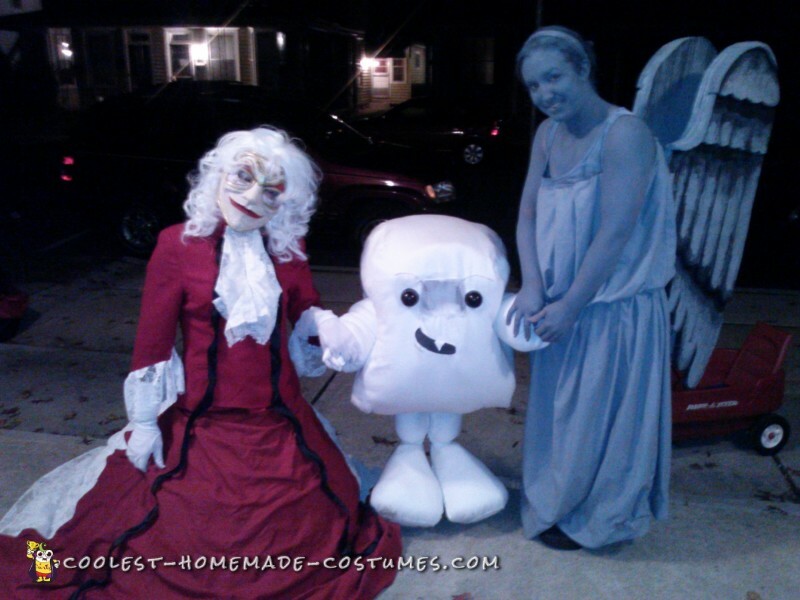 From the time we walked out our door for trick or treat we started to hear the people “Wow”, “Oh my god”, “Thats awesome”, “I wish I had that much talent”. Of course there weren’t many people who knew who we were. Probably four “Whovians” that knew exactly who. 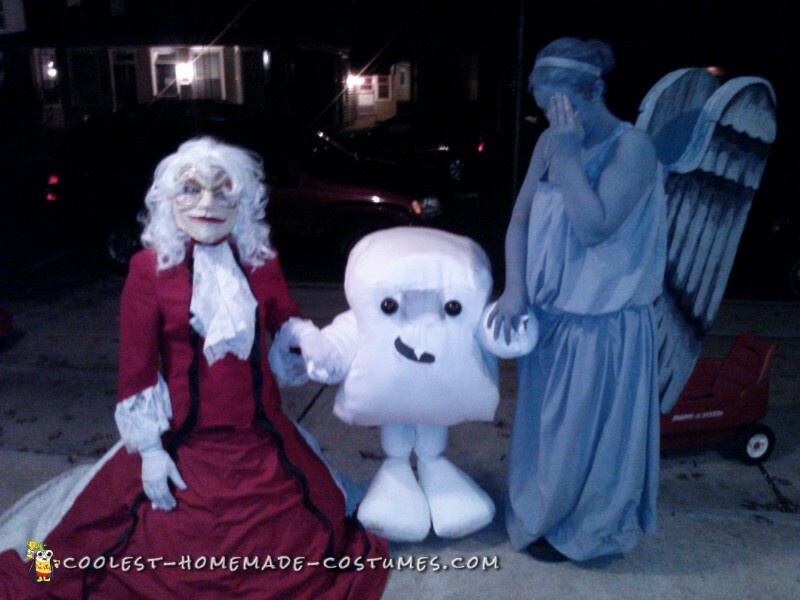 We got a few friends into watching Doctor Who because of our costumes. By the time we got home, we were celebrities. 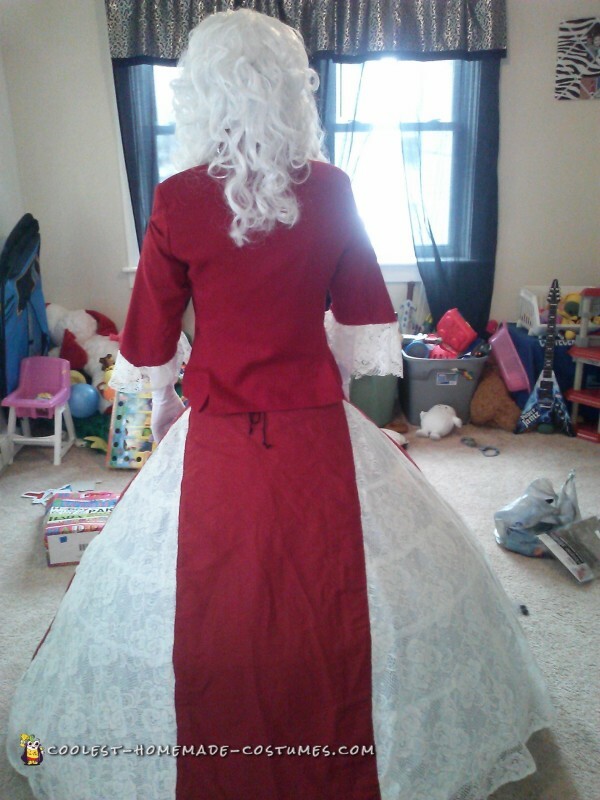 It felt so great to have all the praise because I stressed myself out over trying to make them accurate and able to be worn without being to much to handle. I’ve even got some people telling me I should see if I can make them costumes to make extra money.